BSNL over 500 landline phones are dead in Srinagar after noticing big theft of main cable. India’s most trusted telecom brand Bharat Sanchar Nigam Limited (BSNL) more than Landline phones and connected Broadband services affected after big theft of main cable in major areas of Srinagar. 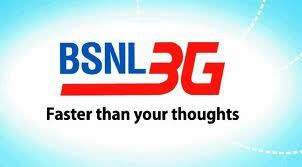 Landline and Broadband Customers of BSNL areas, Azad Basti, Natipora, Chanapora, Budshah Nagar etc., are in shock when their phones and broadband services are not working especially students and professionals were worst hit. BSNL sources informed to all those customers in the affected areas that BSNL main cable from Barzulla telephone exchange has been stolen. BSNL has registered complaint against main cable theft in BSNL exchange and requested to recovery the cable immediately and hardly punish those people involved in this case.